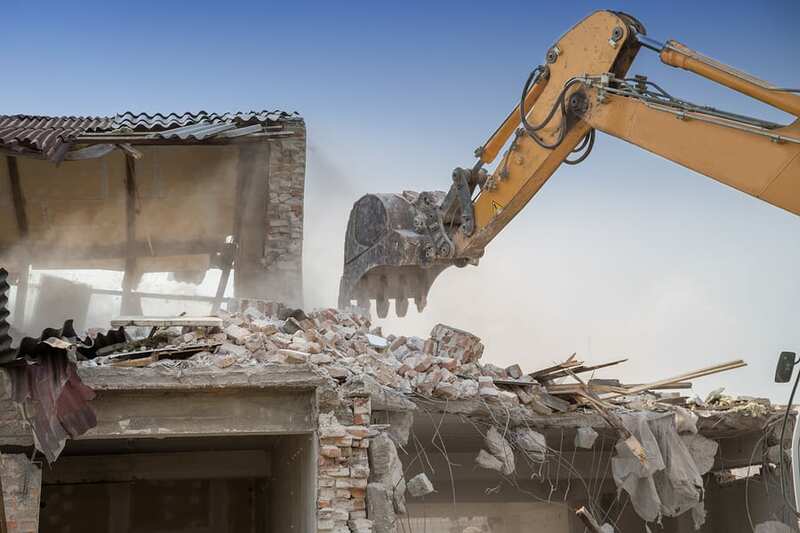 Incorporated in 2000, JMX Contracting quickly became a national leader in commercial, industrial and institutional environmental contracting services, with many successful projects across Canada. In every province launched the growth of JMX National is to support existing cliental base and provide support to the regions in which other national companies are retracting. Consistent branding across all platforms including, signs, vehicle wraps, clothing, promotional products, trade show displays & office literature. The importance of carrying a consistent message across the country is crucial to the integrity of their branding and message. Our creative team hit the ground running starting with a branding package including corporate colours and usage guide “our base point”. From this we were able to start building their branding from the ground up. With a design & production facility all in house we had complete control over all marketing goods and time lines. We also understood how the designs would translate to the end product. We made multiple site visits and worked closely with project mangers to helped initiate the task at hand. 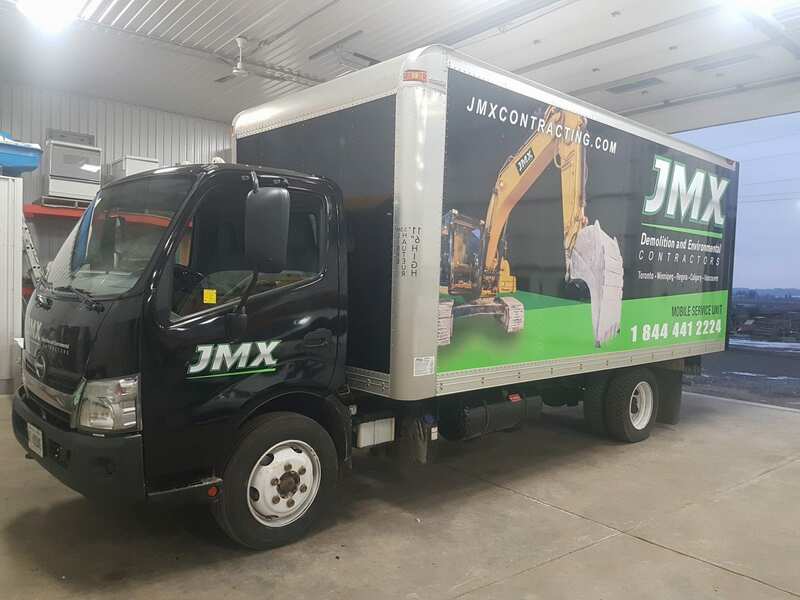 Within 2 months our team had 50 + trucks & machinery updated to meet the new image and standard of the JMX. We also completed safety and job site signage to keep sites safe and distinguishable for visitors and or deliveries. This was followed by office staff and employee apparel, Pocket folders, NCR Forms and lastly trade show displays and flags. 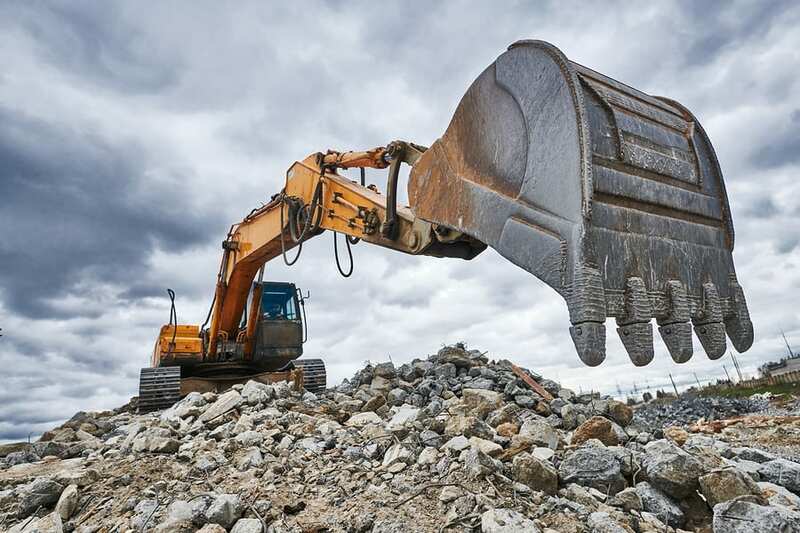 No matter which job site you visit from Ontario to BC you will know you have entered a JMX site. 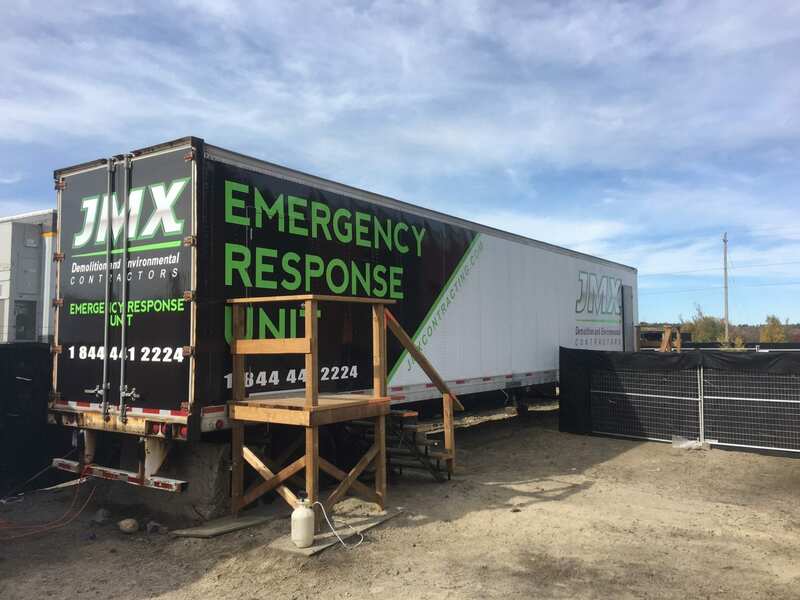 Their bold branding and colour sequence stands out from all others and clearly marked machinery, vehicles and Job Site signage shows strength. Flags are visible from a distance while employees are well dress in apparel that is suitable for the tasked being performed.